Those of you who have spent any length of time browsing the WordPress Free Themes Directory will know that there are a huge number of free WordPress themes available for you to install on your site. At the time of writing, there are over 50,000 themes, and the directory grows by another 20-30 every single month. With so many free themes available, you may be wondering why in the world you would ever pay for a premium theme. That is a reasonable question to ask, and we get it every single time we build a site, but there are many, many reasons why we recommend that you should choose a premium theme for your WordPress site. 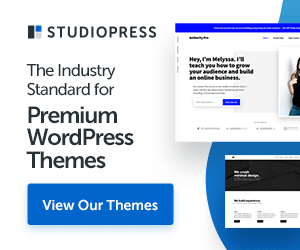 What Actually Is A “Premium” WordPress Theme? By its simplest definition, a premium WordPress theme costs money, easy huh? If it isn’t free, it is premium. There are not really any fixed standards or certification that denotes a theme as being premium. Literally anyone can build a WordPress theme, brand it as premium, and offer it for sale. But typically speaking, a premium theme will have been built by professional web designers, with the specific aim of catering to a market who is willing to pay more for a better product. With that in mind, let’s take a look at five reasons why you should choose a premium theme. If you choose a reputable premium theme shop (which of course you should), you can expect a product that is of superior quality to free themes. But what does that mean in practical terms? You can expect something more unique. If you want your blog to stand out from the crowd, a free theme will typically not cut the mustard. Why? Because a huge number of other blogs will already be using that same theme. Take Twenty Eleven as an example – a clean and attractive design (that also happens to be used by 1,001 other blogs). What sounds out more – this, or a Ford Pinto? You can expect compliance and responsive design. Web standards are always changing, as are the capabilities of the browsers we use. Premium themes are far more likely to be designed with current web standards in mind. You can expect responsive design. In this day and age, people are accessing your site using a variety of different devices, and it is therefore important to ensure that it remains functional across multiple platforms. You can purchase premium themes that are designed specifically with responsive design in mind. Purchasing a premium theme from a reputable source guarantees a product of quality. The same cannot be said of many free themes. For those of us who are not technologically savvy, trying to make even minor amendments to free WordPress themes can be an absolute nightmare. An intermediate knowledge of PHP, CSS and HTML is usually required. You have to look like this to code in WordPress. That is typically not the case with premium themes, which are designed with functionality in mind. Some of the best premium theme shops package their products with intuitive user interfaces, that allow you to make changes in design and formatting to your site at the click of a button. 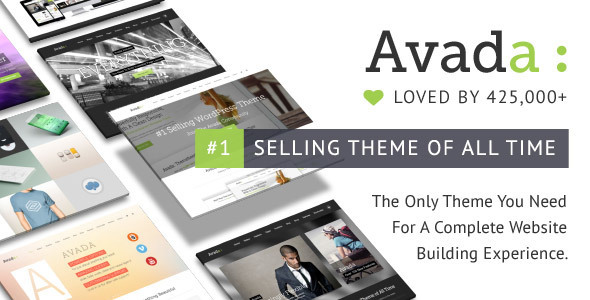 It can seem almost too good to be true that there are so many free themes available. And to a large extent, it is. A huge proportion of available free themes are in fact packaged with malicious code. For a full expose of the risks of installing free themes on your site, check out this brilliant article over at WPMU. Premium themes are typically updated on a regular basis to keep up with new versions of WordPress. The same cannot be said of free themes. Don’t upgrade WordPress. This can leave your site exposed to security breaches, and you will of course miss out on any new features. Start again with a brand new theme. This of course will take a great deal of time. And who wants to all start all over again? Neither option is a good one. You only have to take a quick look around the WordPress Free Themes Directory to discover that many of the themes are out of date. And many of the newer themes will soon be out of date, given the passing of time. Premium theme designers must keep all of their themes up to date – not doing so would result in irreparable damage to their reputation. When you purchase a premium theme, you can be confident that it will stand the test of time. Use a free theme – search for help, ask on forums, hope someone will be kind enough to assist you. Buy a premium theme and rely upon timely support from knowledgeable theme designers. No free theme designer has an obligation to help you if you have problems with the implementation or customization of a theme. On the flip side, all premium theme designers offer some sort of support system. And the top theme shops (such as WooThemes) offer stellar support that are practically alone worth the cost of the themes. The argument for support largely comes down to how much value you place on your time. If you are having problems with a free theme, you may be able to find the solution by trawling the web and asking on forums, but it will take time. But problems with premium themes are typically solved very quickly and easily. Earlier in the article we made the point that a theme can be considered “premium” as soon as someone slaps a price tag on it. So surely some premium themes can be just as bad as the free options? That could certainly be the case, which is why you should only choose reputable theme shops. For 10 of the best, check out this list we recently published. So, The Question is: Are You Free, Or Premium? As with many things in life, you get what you pay for. But what about you? Do you use free themes, or are you happy to shell out a few bucks to get all of the extra benefits covered above?